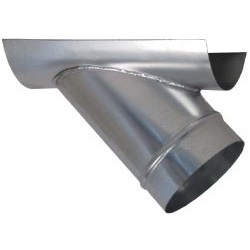 Lateral Tees are essential dust collection fittings needed to reduce static pressure in your dust collection system and improve the overall performance. 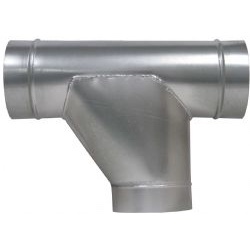 Tee on Tapers are used in locations where the combination of lateral tee and reducer may be planned along with other dust collection accessories. 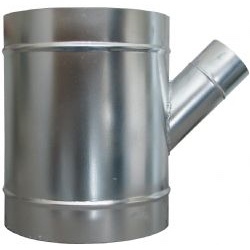 Y Branch is used to reduce static pressure in your dust collection system and improve the overall efficiency. Perfect for moulders and other machinery requiring multiple dust collection points. 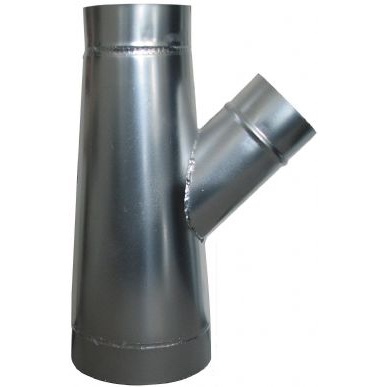 Common dust collection fitting used when tapping into existing spiral pipe. 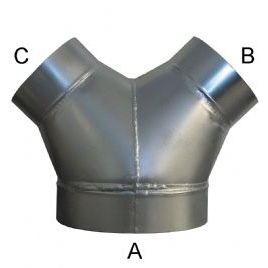 45º Saddle Tap Tee can be added on existing duct work by cutting a hole and pop riveting the saddle over the opening, thus serving the same purpose as a Lateral Tee. Boot Tees are commonly used in confined area that does not allow use of 45º Lateral Tee. 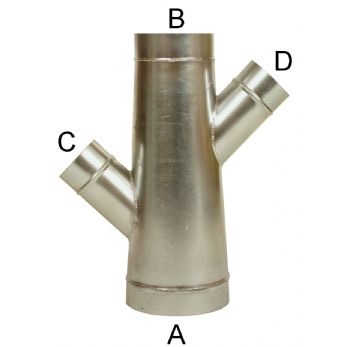 We offer many dust collection fittings and dust collection accessories for unique applications such as these Boot Tees.